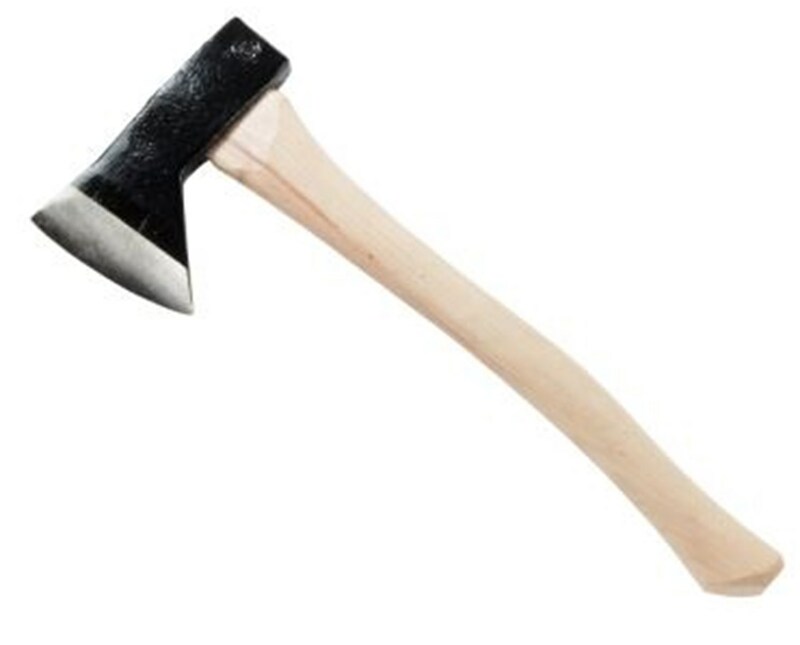 The Council Tool Hudson Bay Camp Axe w/ Curved Hickory Handle is designed with a 2-pound axe head and attached onto an option of 18 or 28 inches curved American hickory handle. Its pattern is believed to have originated from Biscayan in Northern Spain, near France. This is available in one or two-handed handling types. It is perfect for light splitting, chopping, driving tent pegs and other light activities. 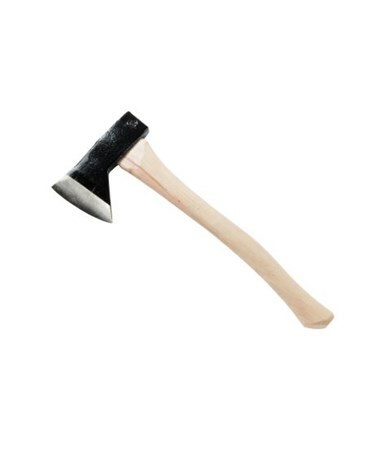 This Hudson Bay Camp Axe's head is hydraulically seated onto the handle and secured in a traditional process with a wooden and round steel wedges. 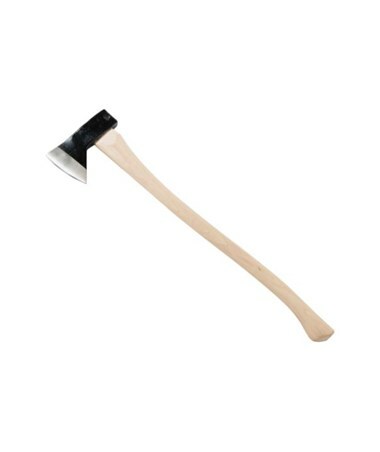 It is hand sharpened and tapered for cutting and light splitting purposes. The 4.25-inch blade is heat coated with black enamel while the cutting edge is coated with clear lacquer to prevent rust. 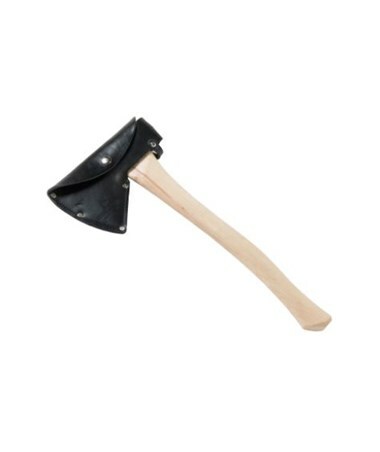 It comes with an optional leather sheath. 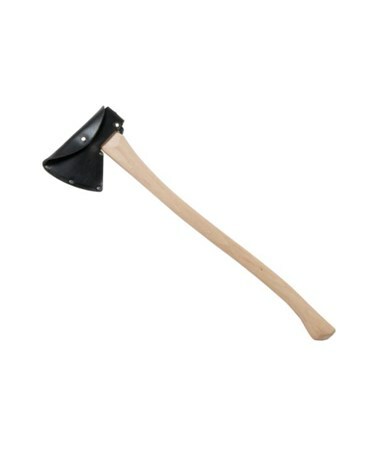 In addition, the Council Tool Hudson Bay Camp Axe w/ Curved Hickory Handle is made in the USA and exceeds ANSI standards. Overall Length 22.25"; 22.75"; 32.25"; 32.75"
Handle Length: 18" or 28"